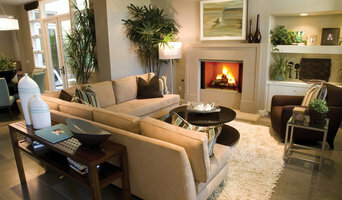 Fairfield County's Trusted Fireplaces For 30+ Years - Best of Houzz! When it comes to installing beautiful, energy-efficient fireplaces, stoves and inserts, Black Swan, a heating appliance & home décor store, has the knowledge & expertise to complement any home design. Here at Fairview Hearthside, we pledge is to deliver an extraordinary service while maintaining a high level of professionalism, integrity, foresight, and fairness. *Authorized European Home Dealer* You can save up to $100 on Heat & Glo fireplaces, stoves and inserts. Follow the link below to register for your coupon: <a rel="nofollow" target="_blank" href="http://www.heatnglo.com/Offers/Coupons/Discount-100.aspx">http://www.heatnglo.com/Offers/Coupons/Discount-100.aspx</a> Fairview Hearthside Distributors is the leader in providing hearth product services. 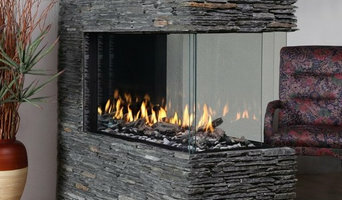 We offer sales and Installation of pre-fabricated gas and wood-burning fireplaces in both traditional and modern styles. Come visit our us in our showroom - we are open 6 days a week! Open Monday - Friday: 8 AM - 5 PM Saturday: 9 AM - 3 PM Sunday: By appointment only The owners of Fairview Hearthside Distributors have been in the residential hearth products business since 1929. Beginning as a small manufacturer of concrete blocks for foundations and chimneys, Fairview Block and Supply Corp. soon expanded into product lines that provided the mason with materials for fireplaces. In 1982, only masonry fireplaces and masonry furnace chimneys were used for new residential construction. Recognizing that there was a shrinking number of masons in the industry, the firm introduced the zero-clearance, pre-engineered fireplace system the local construction market. Eventually closing the masonry supply business, the hearth products division continued serving the market as the Fairview Majestic Fireplace company. Fairview Majestic had a very large customer base in the mid and lower Hudson Valley, as well as Fairfield County, Connecticut. Today, having increased its lines of distribution, Fairview Hearthside Distributors provides builders and consumers with the leading products in the hearth business. Heat & Glo, Heatilator, Montigo, Town & Country, and R.H. Peterson, among others, are offered. Fairview continues to be the Hudson Valley’s first name in hearth products. Having recently renovated their showroom in Poughkeepsie, the firm now serves builders, architects, and designers with the very best of the hearth industry. GRZ designs, builds and installs custom masonry heaters, kachelofens, tile stoves, kakelugns, that are designed to keep the home warmer and cleaner while being more environmentally friendly and cost-effective than other forms of home heating. Please feel free to learn more about masonry heaters or any of GRZ's other services by navigating through the website. Once upon a time, fireplaces were central to the home — meals were even cooked in them. 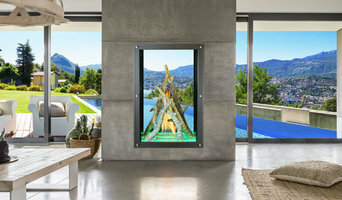 Fireplaces go beyond physical comforts too, offering psychological and emotional warmth even in modern households. However, installing a new fireplace can go wrong, quickly. There is a lot to keep in mind, and there are plenty of safety measures that you need to get right. Reaching out to a Westport, CT fireplace professional can help you find the right unit for your home and make sure it’s installed correctly. What should you know about buying a fireplace in Westport? Since wood smoke contributes to air pollution, many cities have banned the use of wood-burning units. If you’d like to buy a wood burning unit, check the Westport, CT city policies first. If your home already has a wood-burning unit that you’re concerned about, contact a fireplace manufacturer to replace your wood-burning unit with an environmentally friendly electric or gas alternative. Gas inserts can be efficient heaters and may lower your electric-heat bill. Many adjust to provide high heat on a cold night or a low-burning flame for ambience. Interior fireplaces and mantel designs are as varied as home interiors. From custom fireplace mantels made to conceal a flat-screen TV to custom hearth designs with elaborate Renaissance-style stone mantels, the latest designs can be found by visiting Westport, CT fireplace showrooms. Find fireplace manufacturers and showrooms, plus fireplace installation professionals, on Houzz. 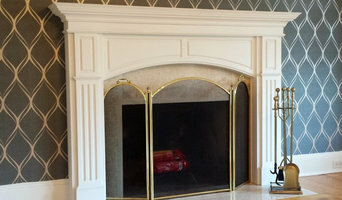 Go to the Professionals section to find Westport, CT fireplace design and installation experts.